Home > News > Breaking news > Cabinet NUSS joins IPSILON! 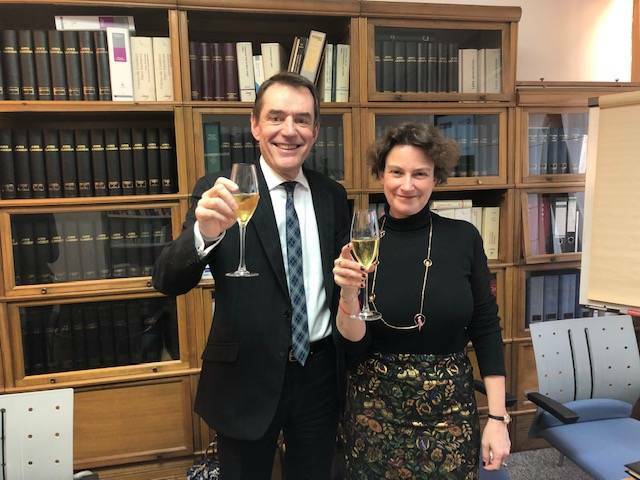 01 Feb Cabinet NUSS joins IPSILON! IPSILON group and Cabinet NUSS combine forces in the IP sector. Through this association, the IPSILON group has now a total staff of more than 100 and is ranked in the very TOP French IP firms. The group is on the one hand strengthening its skills but is on the other hand opening outlooks in Germany in a near future. IPSILON had indeed this stated goal for many years to expand its activities in Germany. The strong presence of Cabinet NUSS across the Rhine is clearly leading the group to new fascinating challenges. Besides, Cabinet NUSS’ clients will fully benefit from the support of a robust firm structure offered by a group that has a vast international presence. The Strasbourg team will surely take advantage of its long experience combined with the group’s sophisticated work procedures. IPSILON was indeed awarded the “Trophées du Droit”, an honor saluting IP firms that experienced a significant growth as well as a silver award in the Best IP Prosecutor category very recently.